As Oman’s overall economy takes a hit because of weak oil prices, the good news is that non-oil activities have in fact advanced in the first half of this year with the mining and quarrying sector surging significantly. The GDP slipped by 14.2 per cent to RO 13.55 billion ($35.2 billion) year on year with the energy sector understandably dropping by 38.2 per cent to RO4.65 billion, the National Centre for Statistics and Information revealed. Non-oil activities were up 3.7 per cent to RO8.94 billion with mining and quarrying surging by 19.9 per cent. However, to those looking to manufacturing to contribute to economic diversification, there was disappointment as the sector fell 2.7 per cent to RO1.25 billion. Consequently non-oil exports fell 9.8 per cent to RO1.84 billion. Another reason proferred for the decline was a 3.2 per cent plunge in re-exports. An issue of concern is the escalating peak power level, which is expected to double to 9,133 MW in 2020 from the 2013 level of 4,455 MW in 2013. At a recent meeting of energy sector stakeholders, it was decided that Oman should prepare a long-term strategy to diversify its energy mix and introduce alternative power generation sources. The meeting also called for enhancing energy efficiency, improving demand-side management both at the individual and industrial levels and upgrading manpower skills. Oman has not been inactive on the renewable energy front. By the end of 2017, a solar-powered system called Enhanced Oil Recovery will power one of the world’s largest solar parks in the south of the country. The process involves converting water into steam which will then be injected into an Oman oilfield powered by 1 gigawatt of completely renewable solar thermal energy. Support and funding to the solar park has come from California-based GlassPoint Solar Inc in partnership with Petroleum Development Oman, Royal Dutch Shell Pic, Total SA and the Omani Government. Further action on the renewable energy front has come with the signing of a pact between CESI Middle East and the Rural Areas Electricity Company of Oman. CESI will offer consultancy for developing renewable energy projects in the sultanate. Dhofar, in the south, and Al Wusta are potential sites for the projects. Cheaper electricity will no doubt be a boon to industrial development. Investments though in the manufacturing field are also crucial and the Omani Government is exerting efforts towards that end. Last month it undertook a road show in Europe to present investment opportunities. The road show was not restricted to manufacturing but embraced a facet of sectors including tourism, which has made strong gains over the years thanks to the sultanate’s pristine natural sites and rich national heritage. With Iran preparing to resume normal activities in trade and commerce following the nuclear deal with the US and other powers, Oman sees unprecedented opportunities for bilateral business ties. Oman, in fact, has officially requested Iran Khodro Industrial Group (IKCO) to set up a production site in the Sultanate. The request was conveyed during a meeting between IKCO’s president and CEO, Hashem Yekeezare, and the chairman of the Special Economic Zone Authority of Duqm (Sezad), Yahya bin Said Al Jabri. It is likely that IKCO will enter into an assembly plant venture to start with, the enterprise later graduating into a fully fledged manufacturing facility. Oman’s Development Fund would likely fund the enterprise which foresees markets in the eastern and northern regions of Africa for its products. Duqm is the new base targeted by the government for industrial development following initiatives to transform Sohar and Salalah into industrial and commercial hubs. Duqm is also where 23 construction projects are underway and 24 are in the tendering stage. One of the more significant projects is a refinery being constructed at an investment of over $6.5 billion. Capacity will be 230,000 barrels per day and up to 1,000 jobs are to be generated from the facility. Most international attention is however centred on Orpic (Oman Oil Refineries and Petroleum Industries Company)’s $5.2 billion Liwa Plastics Industries Complex (LPIC) project and last month Technimont was named as the preferred bidder for three of four packages. 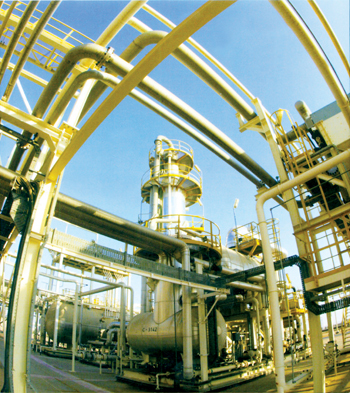 Technimont’s packages include the natural gas extraction unit in Fahud, the NGL (natural gas liquids) pipeline between Fahud and Sohar, and three plastics plants in Sohar. The preferred bidder for the remaining package, also the largest, will be announced shortly. 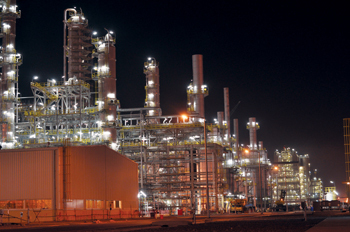 It includes the steam cracker and associated utilities in Sohar. What’s notable about the LPIC is that it will become an important player on the international petrochemicals stage and support the downstream plastics industry in the Sultanate, creating new business opportunities and jobs for nationals. The project market has done pretty well in Oman this year, according to Meed Projects. In the first eight months, more than $11 billion worth of contracts were awarded, placing the Sultanate on track to overtake the $14.8 billion figure for the whole of 2014, which the company said was a record performance. The major projects awarded include the multi-billion-dollar Khazzan and Makarem tight gas development, the $900 million Yibal Khuff sour gas development, the $630 million Salalah independent power project and the $600 million Miraah solar power plant in South Oman, which will use GlassPoint Solar›s concentrating solar power (CSP) technology. Oman has exhorted the private sector to play a more significant role, now that the government has completed large-scale infrastructure projects. Dr Ali Masood Al Sunaidy, Minister of Commerce and industry, said further assistance would be forthcoming in the shape of a framework on public-private partnership and a new investment law. “We also need an ‘invest easy’ platform, which the ministry is creating now. The Royal Oman Police’s e-custom platform is also under establishment in Sohar while the e-visa is under completion,” he said on the sidelines of an Oman Project 2015 conference. He was not in favour of government ‘overfunding’ real estate projects sayng the sector should be left to private business. Challenges in the form of labour market restrictions would be addressed with the aim of attracting investments.